We received these products free for review. See my disclosure for details. I've talked about letting go of control a little bit as a mom recently and embracing your kiddos for who they are, and I'm realizing that perfectionism often carries over into the holidays. I want the perfect holiday card. The perfect picture. And really, it doesn't always embrace the feelings of the season. This year, I'm partnering with Ben the Rooster for our cards. 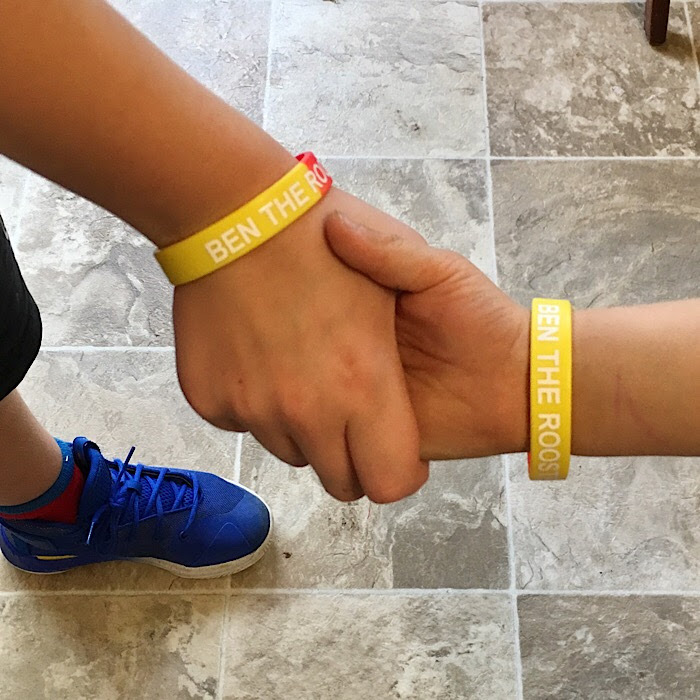 If you've been around here, you may have heard me talk about Ben before or seen me mention him on Instagram. 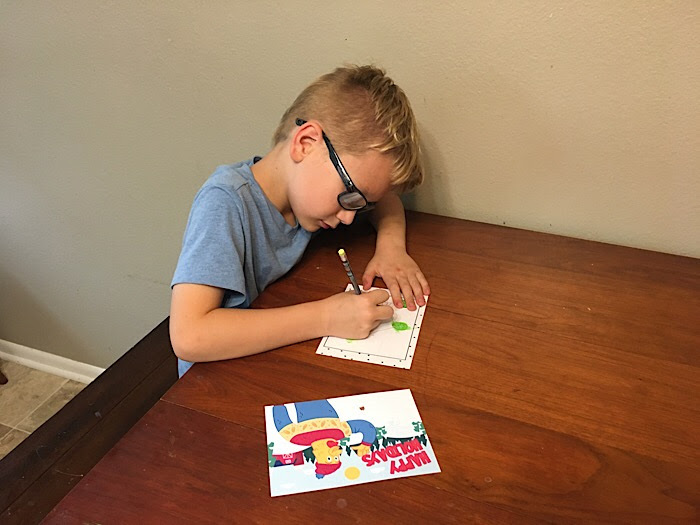 Ben the Rooster is a children's pen pal service. My boys (especially Henry) enjoy writing and drawing back and forth with Ben. This year, Ben is offering custom holiday cards! 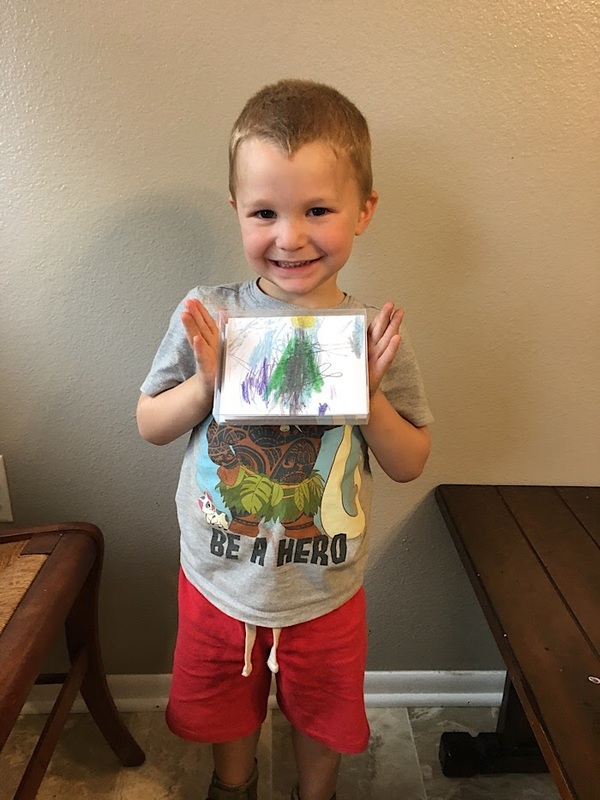 You can turn your child's artwork into fun cards to send to your friends and family. 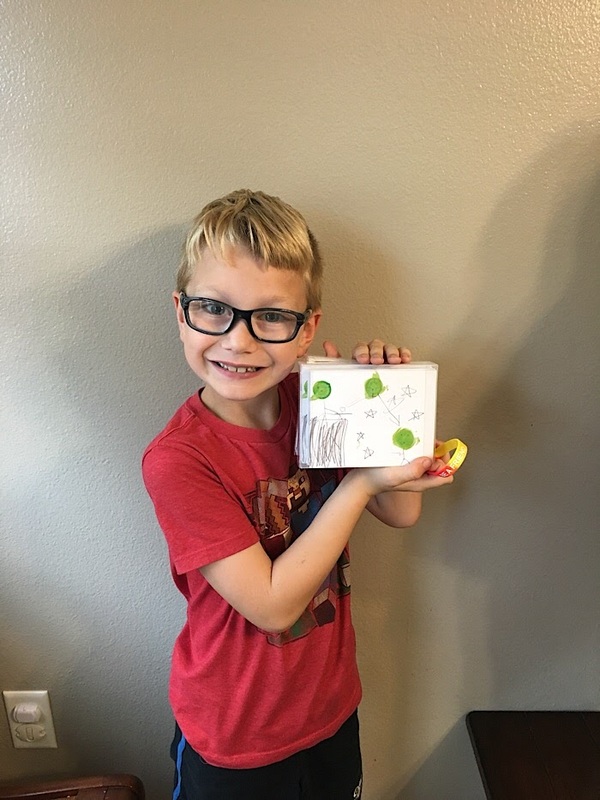 When you order the kit, Ben will send your child a paper canvas along with instructions for what to do! They boys loved decorating their canvas! Wesley went with a more classic Christmas tree design. Henry went with a more non-traditional creature scene from his imagination. 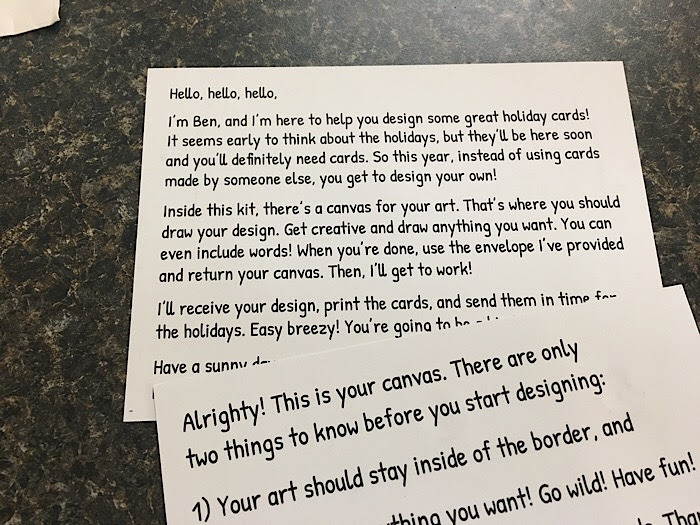 After the boys designed their canvases, we sent them back to ben in the stamped envelope that was included in the kit. A few weeks later... surprise! The boys each got a sweet little box addressed to them and wrapped in Ben the Rooster tape! The cards turned out great! The color is vivid and they're perfect for writing a personal message to friends and family this holiday season! And I know the boys will be excited about helping with the cards this year too, because they have ownership in them! 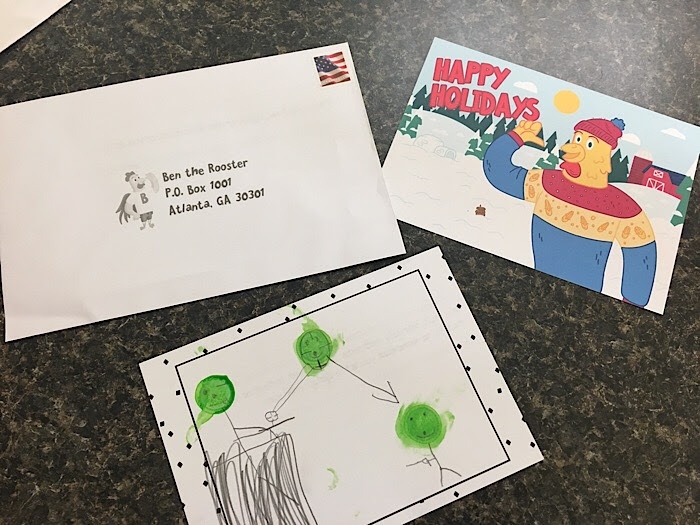 Thanks Ben the Rooster for partnering with us on our special holiday cards! 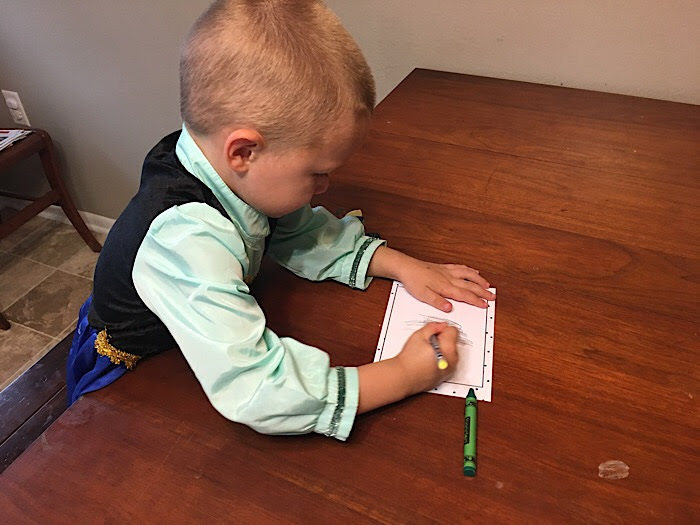 Besides holiday cards, Ben will also be offering custom Thank You cards with the same idea - perfect for birthdays and other events in your child's life! And the best part? Fifty percent of profits will be used to donate subscriptions of Ben the Rooster's Pen Pal Unit to Title I classrooms. That means that one subscription is donated for every set of custom holiday cards that's ordered. So, not only are you getting your kids involved in the holiday cards, you're giving back in the process, too!